Properties in Katwoude average 4.5 out of 5 stars. Light B & B with stunning views over the River IJ. Modern architecture. Property 3: Light B & B with stunning views over the River IJ. Modern architecture. Ground Floor Studio Apartment in Amsterdam City Centre. Property 7: Ground Floor Studio Apartment in Amsterdam City Centre. Attractive caravan with bedstead, kitchen, private shower and toilet. Property 8: Attractive caravan with bedstead, kitchen, private shower and toilet. The Cabinet is ideally located in the Pijp area in Amsterdam. 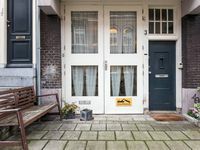 Property 20: The Cabinet is ideally located in the Pijp area in Amsterdam. Cozy Studio || Located at the canal! Property 21: Cozy Studio || Located at the canal! Design Studio in Amsterdam Center! Property 36: Design Studio in Amsterdam Center! SMOKING ALLOWED! |Romantic studio| Downtown | NEW! Property 37: SMOKING ALLOWED! |Romantic studio| Downtown | NEW! Had a wonderful stay at the house. 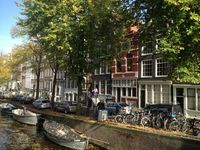 It provides for a true Amsterdam canal house experience. The house is clean and comfortable. The house is in a prime location - walkable distance to any place you&rsquo;d want to visit. Highly recommend. Wytse is a very nice and welcoming host! We really liked the apartment. It was so much more spacious than a hotel room in busy downtown Amsterdam. We purchased a transportation pass for our theee day stay. You walk out of the apartment and across the street is the metro which takes you to the main train station which takes you directly to the airport too. Accommodations were comfortable especially with the fully furnished kitchen. Meals in Amsterdam can get quite expensive. There is a nice supermarket around the corner and a good bakery down the street. I would recommend Richard&rsquo;s place!